Bahrain is threatening to file a complaint with the United Nations Security Council and the International Criminal Court against fellow Gulf state Qatar for supporting terrorism and interfering in Bahrain's internal affairs. Qatar has engaged in "fourth generation warfare crimes" to destabilize Bahrain, a senior official told the Saudi-owned Al Arabiya news organization last week. "Fourth generation warfare" is described as "a concept of warfare that is decentralized, utilizes terrorism as a tactic and relies on media manipulation." A Bahraini TV documentary alleges that the Qatar-financed Academy of Change used "claims of peaceful activism" to push for regime change in Saudi Arabia, Bahrain, the United Arab Emirates, and Kuwait. The documentary, "Academy of Destruction," aired confessions that key figures affiliated with the academy "were sent to Manama to execute the Qatari goal to spread incitement and chaos to topple the regime in Bahrain." The academy is headed by Hisham Morsi, the son-in-law of blacklisted Muslim Brotherhood cleric Yusuf al-Qaradawi. Qatar's financial backing of the global Islamist Muslim Brotherhood movement and chummy ties with Iran have helped fuel regional unrest that threatens to destabilize existing regimes in the boycotting countries. Doha's meddling in the internal affairs of regional Arab states led Bahrain – along with Saudi Arabia, the UAE, and Egypt – to impose an economic and diplomatic blockade in early June. The boycotting countries issued a list of 13 demands to lift the embargo. Those demands call on Qatar to cut its support for the Muslim Brotherhood and scale down its ties with Iran. Qatar rejected the demands saying they violate its sovereignty, causing the boycotting states to replace them with six broad principles urging Doha "to refrain from interfering in the internal affairs of States and from supporting illegal entities." One alleged conspiracy had Qatar working with Iran to overthrow the Bahraini regime during the Arab Spring protests of 2011, Al Arabiya reported. Bahraini TV broadcast a recording alleged to be a conversation between Qatar's former Prime Minister Sheikh Hamad bin Jassim bin Jaber al-Thani and Bahraini Shia dissident Sheikh Ali Salman plotting to oust Bahrain's ruling al-Khalifa family. This revelation built upon an earlier report that Hamad bin Jassim masterminded a 2011 Qatar-sponsored initiative to work with Iran and Bahraini opposition groups, in particular Ali Salman's Al-Wefaq Society, to foment unrest and destabilize the region. The broader Iranian-Saudi struggle for Middle East dominance has made Doha's cozy relationship with Tehran a point of contention with the Riyadh-led quartet. Bahrain holds Qatar responsible for "media incitement, support for armed terrorist activities and funding linked to Iranian groups to carry out sabotage and spreading chaos" in the island nation. Since a Saudi-led military intervention in Bahrain in 2011 sought to quell weeks of Shia-dominated demonstrations against the ruling al-Khalifa Sunni monarchy, the country has been hit by sporadic protests by its majority Shia community that were reportedly backed by Qatar. Tehran sees Bahrain as a historic part of Iran and sees Saudi efforts to suppress the Shiite popular revolt as an "invasion," making Bahrain a proxy battleground for the regional rivals. Riyadh, in turn, accuses Doha of supporting Iran-allied rebels in Yemen, known as Houthis. Things came to a head between Qatar and the Saudi-led quartet in April when Doha agreed to pay $1 billion in ransom to Iranian security officials and an al-Qaida-affiliated Syrian Islamist group. The deal, reported to be "the straw that broke the camel's back," secured the release of 26 Qataris, including members of the royal family, kidnapped during a hunting trip to Iraq. Problems with Qatar have been festering for some time. In 2013-2014, Qatar's Emir Sheikh Tamim bin Hamad al-Thani signed the Riyadh Agreements, but then failed to live up to its commitments. The agreements sought to build "a new phase of fraternal relations" and called on Qatar to stop supporting the Muslim Brotherhood. Qatar also promised not to support rebel factions fighting Gulf Cooperation Council (GCC) countries in Yemen and Egypt. In addition to its ties to Iran, Qatar's support for various Brotherhood movements is another sore point. Since the 2011 Arab Spring uprisings, Doha has gone all-out to embrace Muslim Brotherhood branches in Egypt, Gaza, Libya, Syria and Tunisia. The tiny but gas-rich Gulf state pumped billions of dollars into the former Muslim Brotherhood-led government in Egypt, armed and aided Islamist rebel factions in Libya and Syria, and pledged millions to the Brotherhood's Palestinian terrorist offshoot Hamas. Its government-backed Al Jazeera news network has helped advance Islamist agendas and provided a platform to Hamas and Muslim Brotherhood dissidents from other Gulf countries and Egypt. Although the UAE and Saudi Arabia had earlier embraced Muslim Brotherhood members fleeing repression in their home countries, the Gulf monarchies subsequently had a falling out with the Islamist movement after its local networks sought to politicize Islam. In a 2002 interview, the late Saudi Prince Nayef Bin Abdl Aziz famously alleged the Brotherhood sought to "politicize Islam for self-serving purposes" and claimed "that the root of all our problems and issues is the Muslim Brotherhood." In March 2011, several members of the UAE's al-Islah organization signed a political petition that demanded "an elected parliament with legislative powers" leading to a major crackdown on the Islamist group. A Facebook group "The UAE Revolution" called for "a revolution against the era of Sheikhs, a revolution against oppression and suppression of freedoms in the UAE, a revolution against those who have looted from the people of the UAE." More than 65 members of al-Islah were sentenced up to 15 years in the UAE in July 2013 for plotting to overthrow the Gulf monarchy in a trial contested by human rights groups. In an opinion piece the previous month, Emirati political analyst Sultan Sooud al-Qassemi had called the Brotherhood "the greatest threat to the UAE" and urged the Gulf monarchy to "take immediate measures to show that it will not stand for such threats" from the Islamist movement. Egypt turned into another battleground for the Gulf monarchies in the wake of the Arab Spring. Relations between Qatar and Saudi Arabia became strained when a Muslim Brotherhood-led government came to power in Egypt in 2012. President Mohammad Morsi's government backed uprisings against Arab monarchies and engaged in outreach to Riyadh's arch rival Iran. Doha, on the other hand, provided Morsi's government billions of dollars in aid. After the military ousted Morsi's Muslim Brotherhood-led government in July 2013, Saudi Arabia and the UAE together offered $8 billion in aid to help pump up the Egyptian economy. The Muslim Brotherhood was subsequently designated a terrorist organization by Saudi Arabia, the UAE, and Egypt. Qatar's maverick foreign policy seeks to use Iran, the Muslim Brotherhood and other extremists as strategic weapons to upend Saudi dominance and further destabilize the Middle East. The Muslim Brotherhood's successes in overthrowing regimes in Egypt, Tunisia, and other places in its quest for a global Caliphate has Saudi Arabia and the UAE worried that Qatar's support may invigorate the Brotherhood in the Gulf monarchies and create civil unrest. 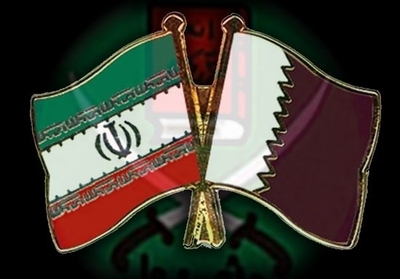 Qatar just restored full diplomatic ties with Iran that broke off last year following attacks on Saudi diplomatic facilities in Tehran. Doha's close ties to the Islamic Republic will ensure continued collaboration with Iran-backed terrorist groups in Saudi Arabia's restive eastern region of Qatif and Bahrain. Doha will also continue supporting Iran-backed Houthi militias in Yemen complicating the existing political, military, and humanitarian crisis in the country, where a Saudi-led military intervention is underway. Qatar points to "Saudi and Emirati hypocrisy" by arguing that both the Gulf monarchies have a "shameful history" of support for terror and extremism; so why is the island Gulf nation being singled out? But Doha misses a key point: The question is not so much about either side's support for terror as it is about the bigger and more important issue of regional stability. Qatar needs to recognize this fact and refrain from falling victim to its contentious history and the ambitions of its post-1995 leadership that wants Doha to pursue an independent foreign policy and be a major power in the region. Qatar's failure to stop colluding with destabilizing elements to pursue its regional ambitions will only end up throwing the Middle East into deeper chaos.